There is so much maintenance that needs to be done on your home year round that it can become a very daunting task. 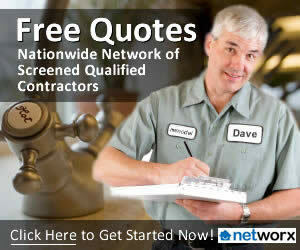 From lawn maintenance outdoors to hvac system maintenance indoors, the list goes on and on. Your best bet is to take a few at a time, knock those out, and then plan your next list. If you write a list of 20 home maintenance items that you need to get finished, chances are it will seem too overwhelming and almost feel like giving up. Start small, tick a few things off your list and before you know it, you will have a huge feeling of accomplishment! 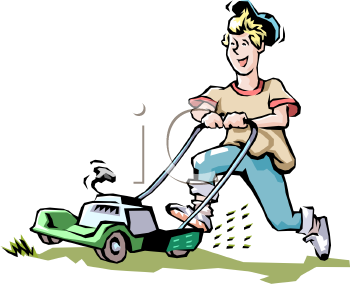 In order to cut your yard evenly and cleanly, make sure your lawnmower blades are nice and sharp. If you cut your grass with dull blades, it will result in a number of things such as an uneven cut or discoloration of your lawn with a “striped” appearance. Have your blades sharpened by a professional at your local hardware store or big box home improvement center. If your blades are too far gone, replace them so you don’t spend valuable time weeding and seeding, only to have the grass look frayed and unkempt. Check for shingles that have curled upwards or are cracked or broken. If you find any of these, replace the shingles immediately. If you have a fireplace, check for gaps around the bottom of and seal. Also inspect your chimney for signs of cracking. Any crack larger than the thickness of your fingernail should be fixed. Small cracks will become large ones very quickly with the change in weather – especially if you live in an area with both a severe winter and hot summers. Part of inspecting your roof is to also inspect your attic. The attic is the best place to check for the telltale signs of a roof that is leaking. If you see stains or discolorations on the rafters, walls or ceilings, call a professional and have it checked thoroughly. Most of us keep valuables stored in our attics, so you want to take care of this issue quickly! A well-maintained gas furnace will run more efficiently and last longer with fewer repairs. Spend a little to save a lot, you might say. If your furnace is more than 10-12 years old and it needs work, seriously consider replacing it.